At Allenby we use Read Write Inc Phonics (RWI) to give your child the best possible start with their literacy. We have put together a guide to how the RWI programme works together with some useful links. Mrs Simigdala is our Read Write Inc lead teacher, so if you have questions about RWI, contact school who can refer you to her. Please take the time to read the information as it will provide invaluable information as to how you can help and support your child in reading. 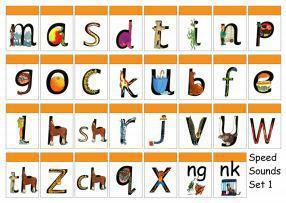 Read Write Inc (RWI) is a phonics complete literacy programme which helps all children learn to read fluently and at speed so they can focus on developing their skills in comprehension, vocabulary and spelling. The programme is designed for children aged 4-7. However, at Allenby we begin the programme in Nursery and will continue teaching RWI to children beyond the age of 7 if they still need support in their reading. 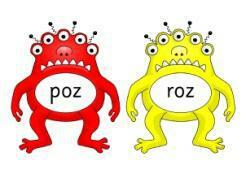 RWI (read write inc) phonics. How to pronounce set 1 to set 3 sounds for parents & children (click on the picture above). See below for a complete list of the set1, set2 and set3 phonic sounds. When appropriate, children will be introduced to the initial sounds in short, normally 5 minute, sessions. A spelling quiz will be held each week (This will only start in Reception when children are ready to write and form their letters). 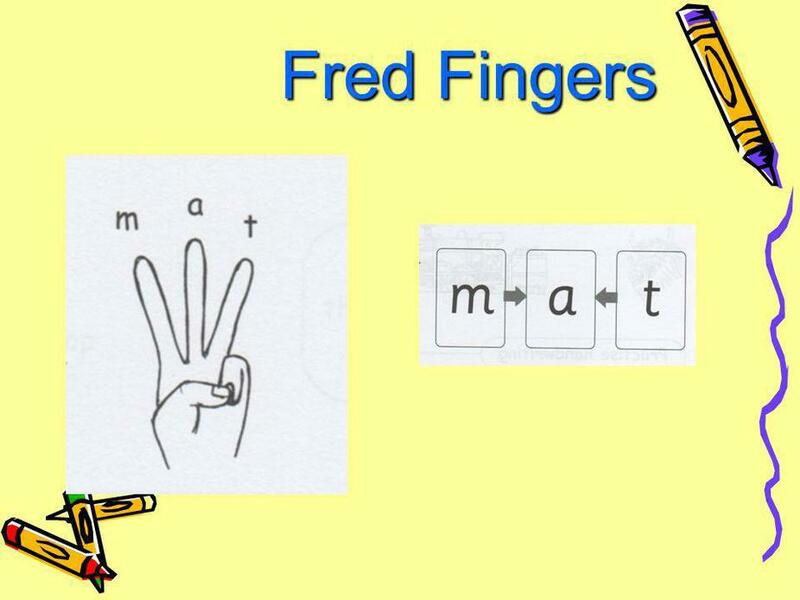 Children will use first use ‘Fred fingers’ to first sound out a word before they write it down. Children learn how to spell rather than just get tested. Furthermore, this way of teaching spellings allows children to use Fred fingers whenever they get stuck with spelling a word. Children pinch each sound on fingers before writing the word. If you have any other questions about RWI, please see your class teacher or see Mrs Khanna.